How Will You Protect Yourself From Change Orders? When your company moves, expands or designs and constructs its next facility, how will you protect yourself and your company from change orders caused by poor architectural design? Hint: The answer is not, “There’s nothing we can do about it”. So, if you don’t have an answer, may we suggest you connect with a firm that does? Watch this video to discover the key to minimizing the unfortunate impact of change orders on your project – before it’s too late. Change orders threaten to overwhelm any project budget. In this video, Tom Conzelman, President, Apex Project Consulting, expands on the topic of how a client’s greatest asset is time and how it often goes to waste. 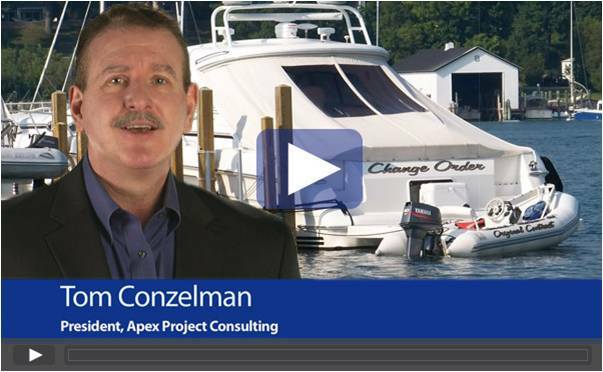 In this video, Tom Conzelman with Apex Project Consulting, expands on the important yet often neglected topic of how pre-planning saves time and money.